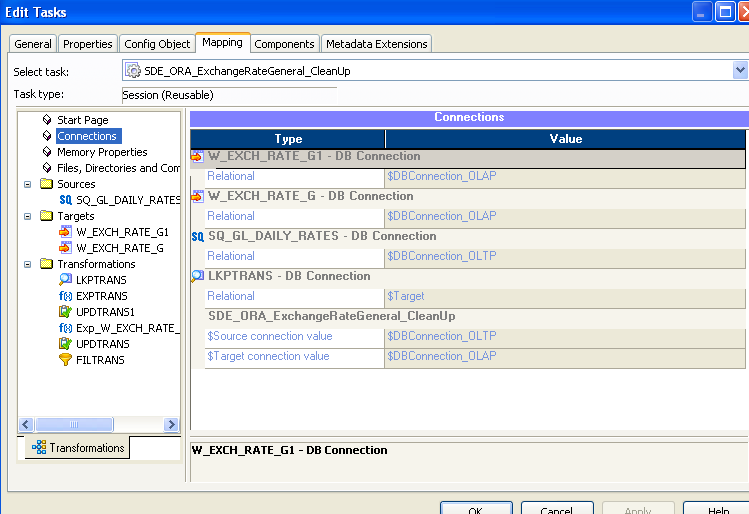 We are working on OBIApps 7963 and we are completely new to Informatica. 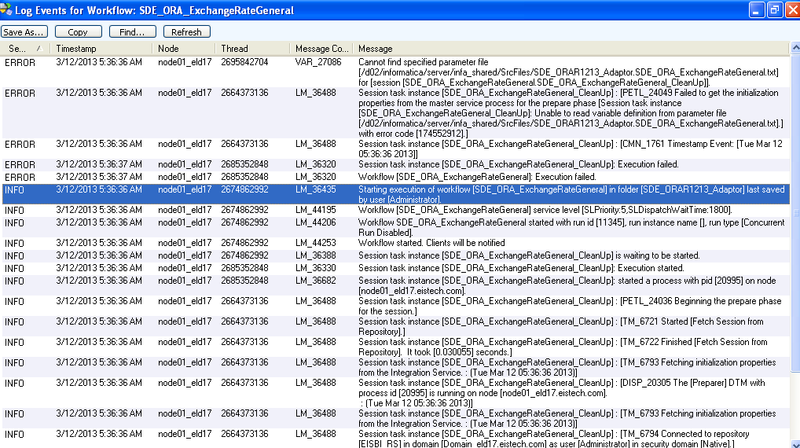 While running the Execution Plans through DAC we are getting the below errors. 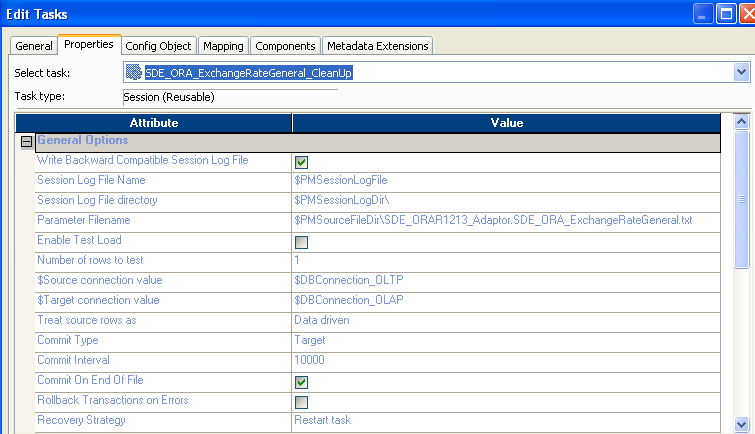 For Example, we can take the detail level information of SDE_ORA_ExchangeRateGeneral task. And the Status Description is below. 2013-03-12 02:13:45.519 INFORMATICA TASK:SDE_ORAR1213_Adaptor:SDE_ORA_ExchangeRateGeneral_Full:(Source : FULL Target : FULL) has started. Connected to Integration Service: [EISBI_IS]. if Execution Plan is still running or re-submit Execution Plan to execute the workflow. 2013-03-12 02:14:07.21 INFORMATICA TASK:SDE_ORAR1213_Adaptor:SDE_ORA_ExchangeRateGeneral_Full:(Source : FULL Target : FULL) has finished execution with Failed status. When we run the WF from the Task, we are getting the below Failed status. THe WF log is below and we are unable to get SessionLog. 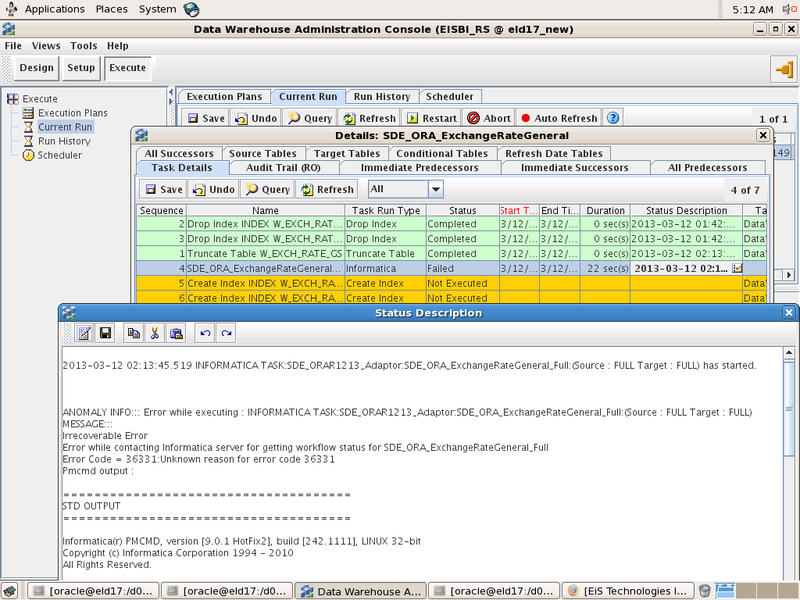 Restart Workflow: ERROR: Workflow [SDE_ORA_ExchangeRateGeneral]: Execution failed. 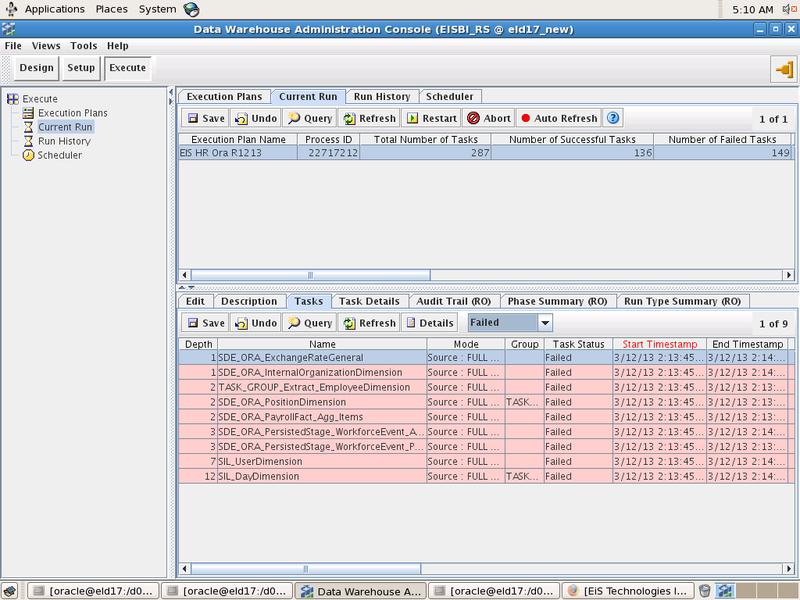 Please check the workflow log for more information. But, still we are unable to load the data for the Target tables. Please guide me, where i missed the connections or doing mistakes. This entry was posted in Informatica. Bookmark the permalink.